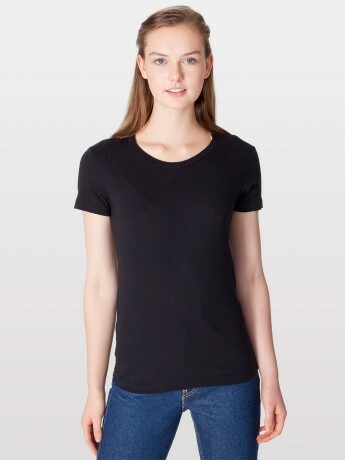 In case you’re mesmerized by the handsome models above, here’s how the T-Shirts look on us real people. My husband and I both love the quality, soft touch and lightweight feel of the shirts we’re wearing in the photos below. So why have I designed these T-Shirts? 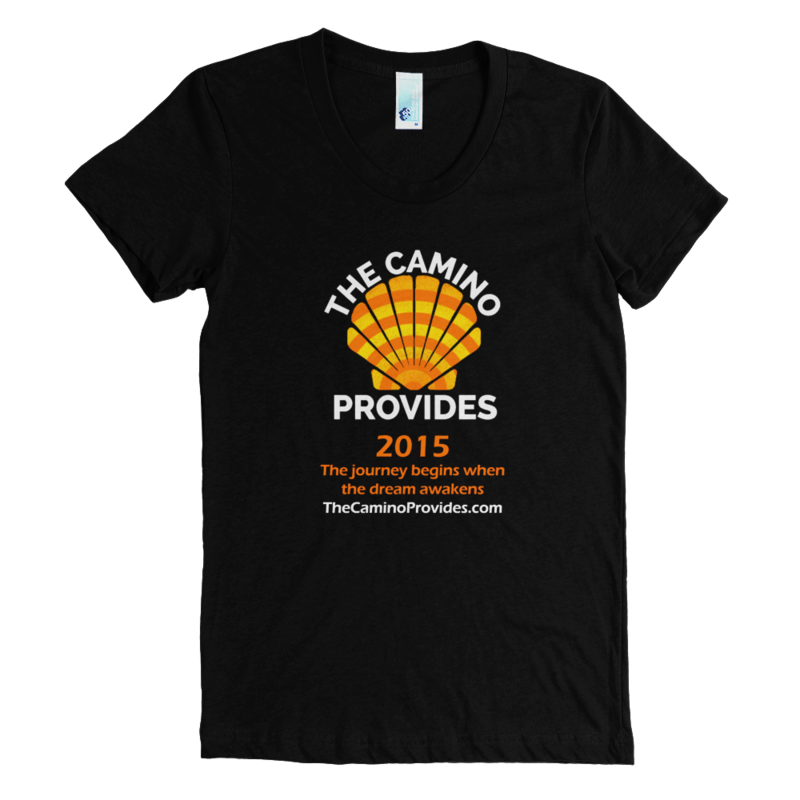 Because the Camino isn’t just a pilgrimage, it’s a lifestyle! 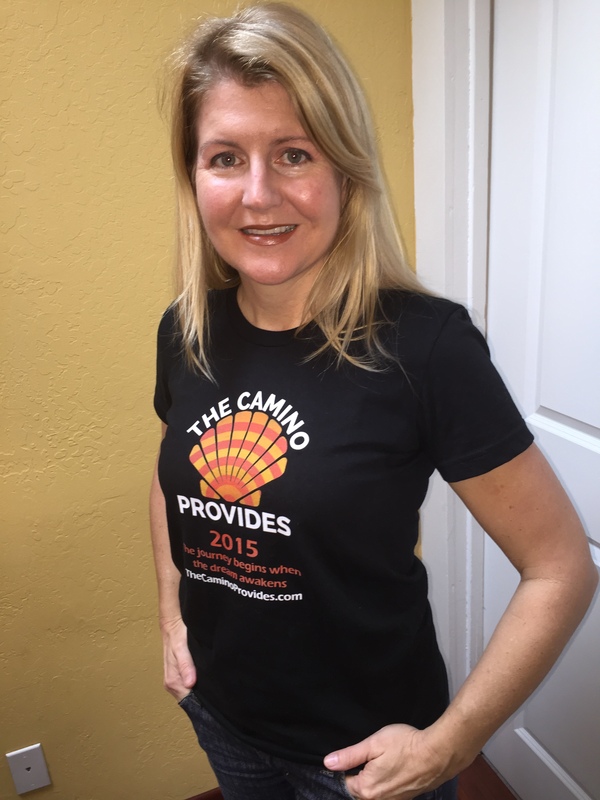 The 2015 design is ideal for anyone who walked a Camino in 2015 to commemorate their pilgrimage, or for those of us who made the decision in 2015 for a future Camino. 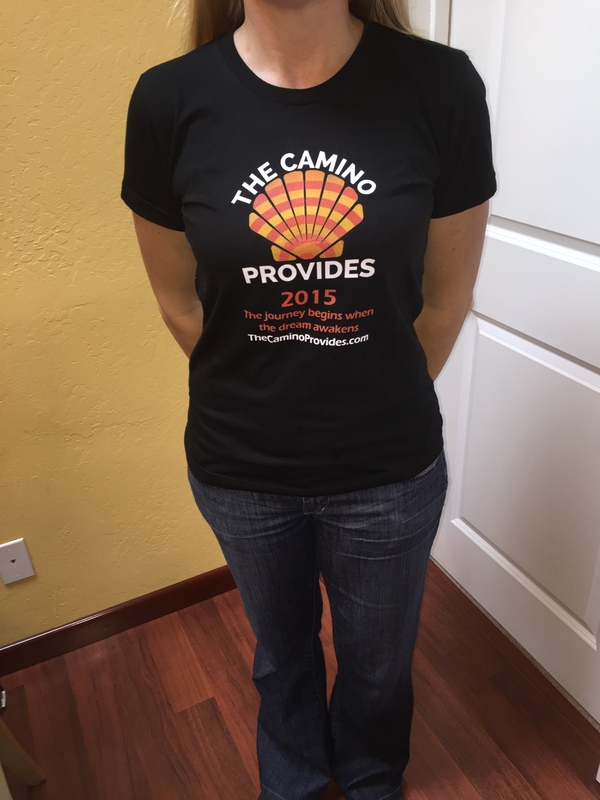 The classic Camino Provides logo design is for anyone, whether you’ve walked a Camino or not. 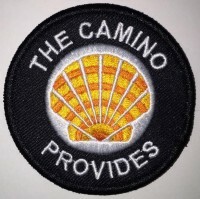 The phrase “The Camino Provides” is a theme that I picked up on during my research and hearing many pilgrims talk about it. 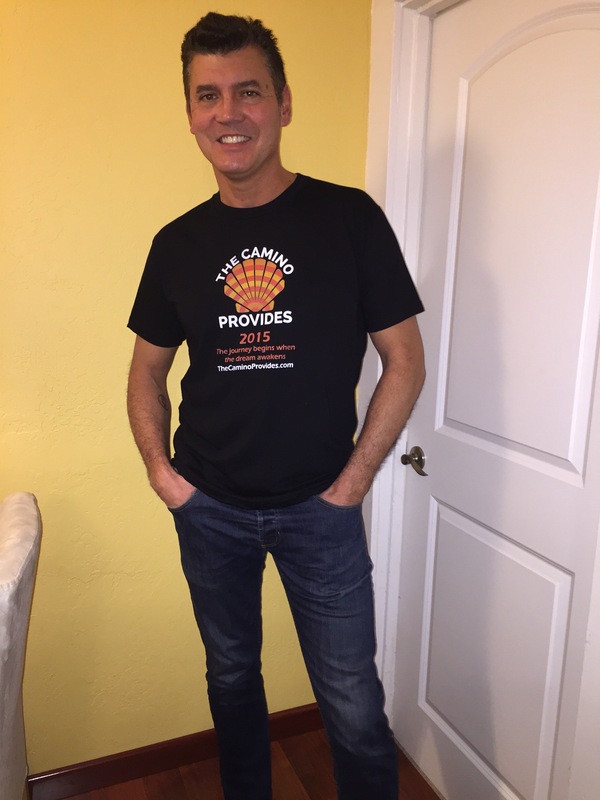 Wearing this will spark conversation and allow you to share your passion for the Camino. It is an expression that means different things to different people, as the pilgrim interview series shows. Thanks for voting in the polls. The styles with the most votes will be available upon the launch of The Camino Provides online store. 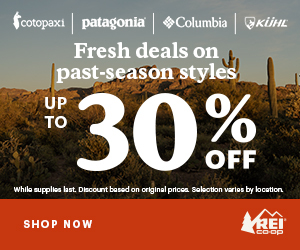 I welcome inquiries and pre-orders by email at laurie@thecaminoprovides.com. 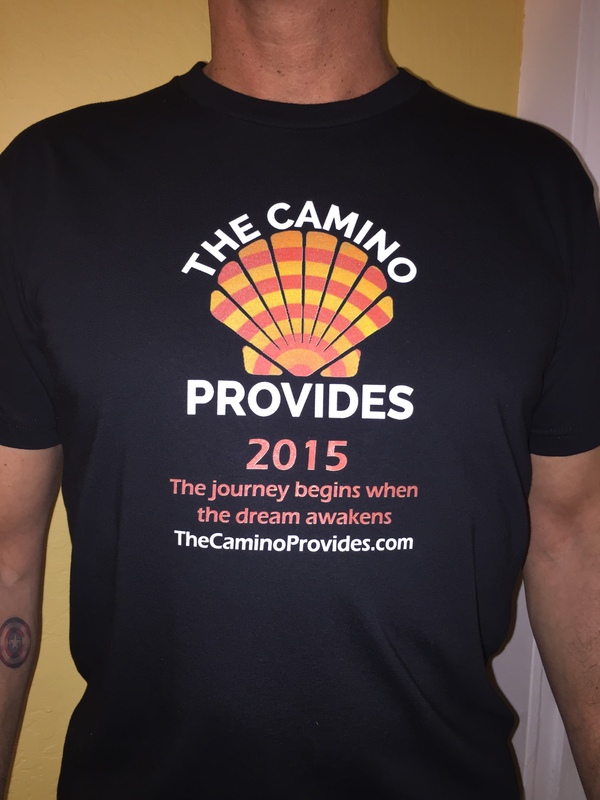 The reason I like the one without the date is that I did the Camino years ago, but I still want one! Or two. Great designs! I prefer the logo by itself on the front, and maybe at the info at the back of the T-shirt?